Spider-man is one of the biggest superheroes in pop culture, certainly Marvel's biggest overall name despite the waning and waxing of other characters. He's one of those characters everyone knows like Superman and Batman, and like those heroes, he's had his share of films, TV shows, and reboots. Sam Raimi's 2002 film Spider-man remains the quintessential Spidey film. It is relentless in its"classicness." Raimi's approach is to stick to just the archetypal elements of the story. He sets out the origin story quite quickly and efficiently. He employs the most recognizable versions of the characters from white bunned hair Aunt May, to red haired Mary Jane, to mad scientist billionaire Norman Osborne, to J.K. Simmons nailing J. Jonah Jameson. And he hits all the classic story beats; the spider bite; the photography, letting the burglar get away, Uncle Ben's death, to the relationship between Osborne and Parker. It ever gets the New Yorky-ness which is such a part of who Spidey is. The story gives such a rounded and complete explanation of his powers, his motivations and does so in a succinct and effective manner which ends up being completely entertaining. Raimi nails it. Sure Raimi is essentially a B-movie maker and you can't take the B-movie out of the director but generally his slightly campy, direct and simplistic approach works. Yes the Green Goblin is horribly executed but I would argue that Osborne himself fares better. Also I have always been critical of how much the film rips of Superman the Movie down to almost specific details, but I've come to appreciate the stylistic choice of this as a way of following the classic superhero origin story archetype. The upside-down kiss is iconic. The Spidey/Goblin conflict is the defining origin for this character. I'll always have a soft spot for the way the film sets so many of its scenes in my old NYC hood. 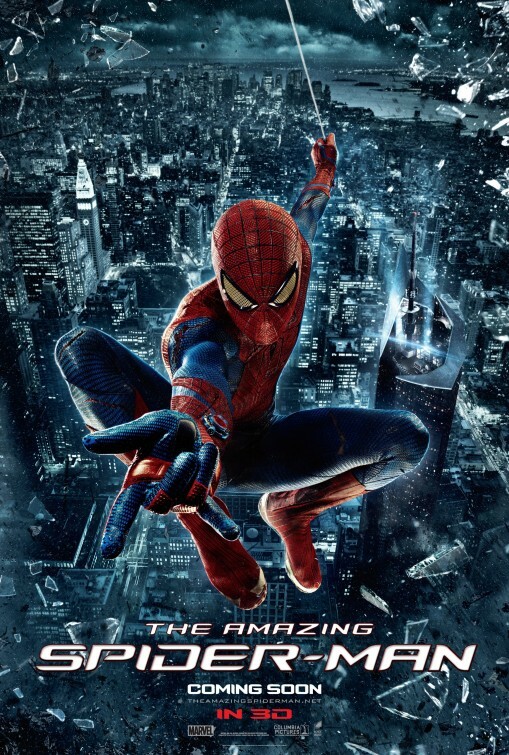 The movie series fell apart by the third film which went a bit bonkers but before that this was recognizably Spider-man and it was a great deal of fun. Then came the Amazing Spider-Man reboot which tried to grittify or ground Spider-man in a more realistic world. Garfield's Parker was less nerdy, more artsy outcast and the added spy/mystery elements, along with switching the love story to the doomed Gwen Stacey were an attempt to add seriousness to the character. Unfortunately mostly it just fell flat. There was some good chemistry between Garfield and Stone but the Lizard was worse than the Goblin and felt like a cheap rip off of the same story. By the disjointed sequel, audiences had lost interest and Spidey was headed for a new reboot. Then, along comes the very successful Marvel Cinematic Universe at Disney which has almost all the other Marvel heroes fighting together but no Spider-man, no crown jewel. Suddenly we have a chance for Spidey to join with his contemporaries. And he makes a big splash in Captain America Civil War by returning to his roots as an awkward yet brilliant teen filled with all the gosh darn optimism that was missing in Amazing. So the question is where do we go with this big league character in his return to solo film? Well it turns out that Jon Watts found something that has been missing from all the live action Spider-man films so far. Spider-man Homecoming focuses on Spidey's life as a teenager. It is essentially a slice of life film about what it's like to be a high school student and a superhero. I have often thought that graduating Peter Parker in his first outings was a mistake, as it took us away from one of the essentially Spider-man things, the boy next door. Spider-man is different cause he's a kid. Homecoming captures that and captures it beautifully. 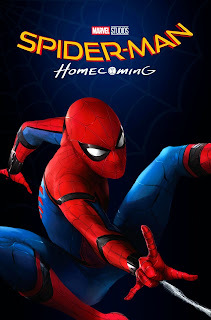 Homecoming is probably the most fun I've had at a Spider-man film. Tom Holland's cameo was certainly my favorite part of Civil War and he continues that chemistry here. I loved that the film didn't get into Spidey's origin and just assumes we know it (with only off hand references to it). We don't need to see that again. The only thing that truly pulled me out of the film is something that's likely a big draw for everyone else. Tony Stark. I appreciate the way the film is tying Spider-man into the larger Marvel universe but I would have preferred that Iron Man remain in the background a bit more, perhaps acting through Happy and not actually appearing and overbearing each scene he's in. I know he remains popular, but for me Tony Stark's shtick is becoming almost as tired as Johnny Depp's Jack Sparrow. His constant appearances reminded me of the way I feel the Marvel films have used Tony Stark as a cheat. Need a reason something is the way it is in the Marvel Universe. Just have Stark pay for it. And the films have never successfully addressed Stark's strongman tactics. All of this is compounded in Homecoming as so much of Peter's world is at the whim of this unaccountable billionaire. Also, I wasn't in love with the idea that the Spidey suit is a minor version of the Iron Man suit. There is a line in the film which stands out. "If you aren't anything without the suit, you shouldn't have it." I felt like saying "if you aren't anything without Iron Man, you aren't worth having your own film." My only other critique is another Marvel Universe trope, the bad villain. Vulture is also just another version of Iron Man. However, he's certainly a lot better than the Lizard so I guess we have that going. However, despite that, Homecoming is so much fun and such a great take on a character that many felt had run his course. Suddenly it feels fresh again and I'm looking forward to where he could go next. Starring: Tom Holland, Michael Keaton, Marison Tomei, Zendaya, Robert Downey Jr.